Everything you need to start and grow dreadlocks no matter your hair type! No matter what type of hair you have, this site has all the information you need about how to start dreadlocks. 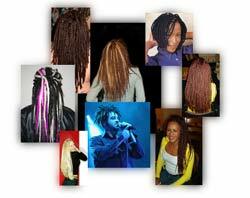 The information on this dreadlocks site is proven and used by dreadlocks stylist around the world. Not only do we have instructions for making dreadlocks, we also have tips for how to maintain dreadlocks once you have them and how to get your dreadlocks to lock up faster. So you stop worrying about whether someone on some hair message board will answer your post, or understanding the deep philosophy and meaning of someone’s dreadlocks. Sit back, relax, and get ready to learn about making dreadlocks.